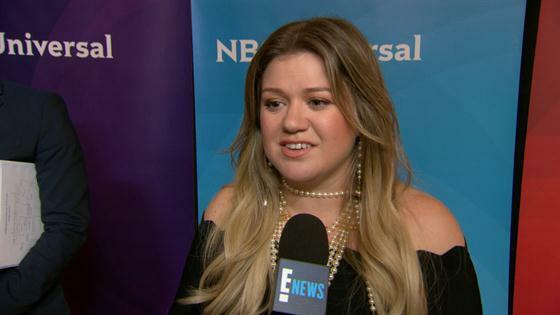 Will Kelly Clarkson Watch "American Idol?" The singer took the stage for NBC's winter press day on Tuesday to talk about the upcoming season of the singing competition show. She's finally serving as a coach, which has apparently been in the works for a very long time, with no consideration for the possible return of American Idol, the show that made Clarkson a star. "Imma be real with you, a lot of people reach out to me to be a part of singing things," Clarkson told reporters when asked if any of the new Idol producers reached out to her. "I love this show, and I've been trying to be a part of it. I was knocked up for like three years, I couldn't work because my pregnancies are horrible." Clarkson says she loves The Voice particularly because of the blind auditions, which take away the aesthetic element of the process. "It literally does come back to those blinds that really separates everything. And it means something to me. I represent those people in this industry. I don't fit the pop star image," she said. "But I am a pop star..."
"This show really does complement my desires for this industry," she continued. Filming has already begun for season 14, on which Clarkson is joined by Alicia Keys and mainstays Blake Shelton and Adam Levine in the coaching chairs. When E! News caught up with Clarkson following her panel, she admitted that she's not sure she'll have time to check out ABC's revival of the show that made her a household name when it premieres in March, what with her busy schedule on her own show and her four little ones at home. "I probably won't because, I'm going to be honest with you, I have four children, so it's hard enough in my household because my husband also manages Blake," she told us. "So it's hard enough for us to get The Voice in!" That said, she does wish the new judging panel of Katy Perry, Lionel Richie and Luke Bryan luck. "I think they'll do well," she said. "I mean, I think artists in general love helping other artists, right? Or the good ones. The ones that aren't insecure or threatened." For more from Clarkson, including whether or not she thinks she has what it takes to win The Voice in her first season as a coach, be sure to check out the video above!